It is a commonly held view that pets, parties and parking are the most contentious of communal issues. In this blog we will look at what recourse sectional title owners have in terms of noise concerns, which can relate to all three of these contentious issues, as well as how owners can validate a complaint as being a legitimate disturbance. Sectional title owners would have to refer to the Sectional Titles Act when dealing with nuisance issues, unless an interdict or any other form of urgent relief from the court is applicable. Prescribed management rule 71 confirms that any dispute between the body corporate and an owner, or between owners, shall be resolved via arbitration. In the Sectional Titles Scheme Management Act 9 of 2011, still to be made effective, dispute resolution will be enacted through the Community Scheme Ombud Service. Owner responsibilities are mainly dealt with in section 44 of the Sectional Titles Act 95 of 1986 and prescribed management rule 68 – this legislation is found on our website here. Section 44 1(d) requires owners not to use common property in such a manner as to unreasonably interfere with the use and enjoyment thereof by other owners or persons lawfully on the premises. Further, section 44(1)(e) states that owners must not use their sections or exclusive use areas in such a manner as to cause a nuisance to any occupier of a section. 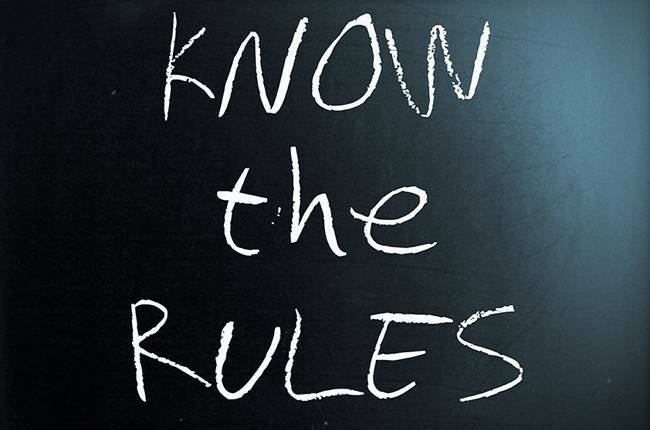 Prescribed management rule 68 notes that owners must not contravene any law, by-law, ordinance, proclamation or statutory regulation relating to or affecting the occupation of the building or the common property. Some schemes adapt their management or conduct rules to create rules that more specifically deal with noise disturbances. This legislation defines community or environmental noise pollution concerns in terms of either a noise disturbance or a noise nuisance. A noise 'disturbance': Noise levels must be measured with a proper sound level meter. If the 'ambient' noise level, which includes the 'specific' noise (the noise causing the disturbance, for example generator or loud music) and the 'residual' noise (the general noise level in the absence of the 'specific' noise) exceeds the 'residual' noise level by more than 7 dBA (an A-weighted decibel measurement) this is regarded as a noise 'disturbance', which is in transgression of the Noise Control Regulations. A noise 'nuisance': In this instance noise levels are not measured. If the noise, for example generator or loud music, is not loud enough to be classified as causing a 'noise disturbance' (7 dBA-rule) the intruding noise can still be considered as causing a 'noise nuisance'. However, this category is more difficult to establish, because the subjectivity of the complainant(s) come into play. Usually a number of affidavits are required to prove a noise nuisance, which may become problematic where for example others are shielded from the ‘noise’, therefore a solitary complainant may have a legitimate complaint, but the validity may be difficult to prove. Music is particularly problematic to establish as a noise disturbance, because of its tonal (beat) characteristics. Noise nuisances are not always judged on reasonable and fair methodologies, as demonstrated by the example above detailing the requirement for multiple affidavits which can sometimes prejudice a single owner with a valid complaint. Complaints should be accompanied by as much evidence and supporting affidavits as possible to strengthen the matter and all complaints must be dealt with equally and fairly. Some schemes create a rule detailing the internal dispute resolution mechanisms available to owners prior to the matter being referred to arbitration. While the NMBM Air Pollution/Noise Control directorate do not generally become involved in disputes within sectional title schemes they have confirmed that bodies corporate could reference these by-laws in amended rules as guidelines to be adhered to with regard to noise complaints. Another measure for assessing noise nuisance, that is supported by South African acoustic consultants, is derived from a ten point system published in Joubert, Milton and Pugsley (1997, Volume 19: Nuisance paragraphs 190 to 201). It must also be remembered that tolerance of a certain amount of noise is expected in communal living and does lead to good neighbourliness. This is what Milton refers to as “mutual sacrifice”  which many, supported by court precedents, regard as necessary to be endured so as not to unreasonably impinge on the equivalent right of the other. Bellbuoy (Pty) Ltd shall bear no responsibility or liability for any loss or damage, either directly or indirectly, attributable to the use of or reliance upon information or links provided throughout this website. Refer LAWSA (First re-issue) op cit supra, vol. 19 at para 187 and Assagay Quarries (Pty) Ltd 1960 (4) SA 237 (N) at 240H, where Warner AJ notes that the ‘The homely phrases “give and take” and “live and let live” are nearer the truth than the Latin maxim sic utere tuo ut alienum non laedas’.